The holiday are so much more fun now that we have a little one! 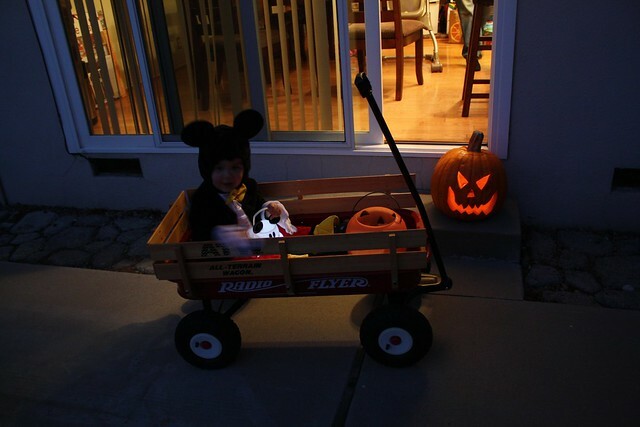 We hurried home from daycare, ate dinner quickly, then got dressed up for trick-or-treating. 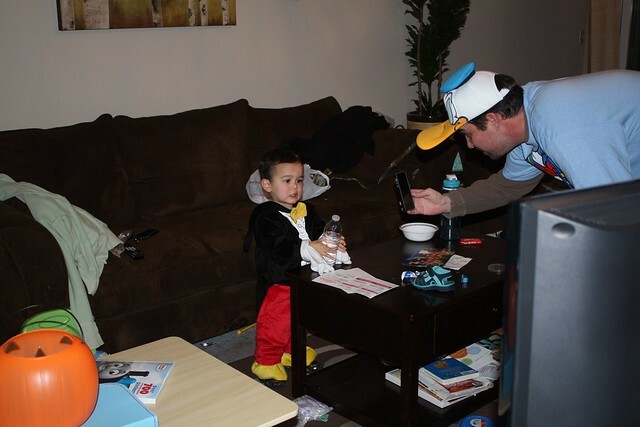 We made a quick call to Grandma Lisa and Grandpa Mike so they could see Vincent in his costume. 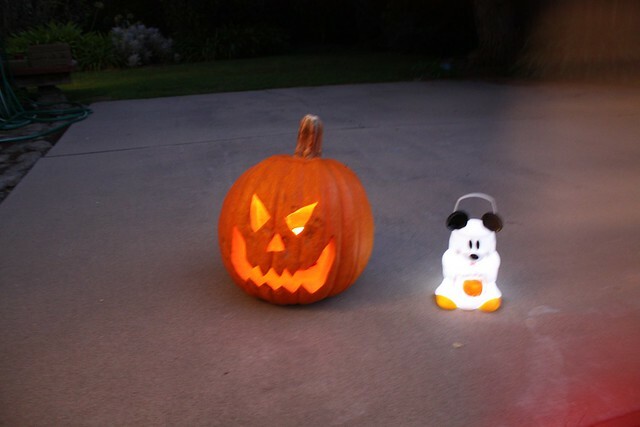 Mommy tried hard to get some good photos of Vinny near our jack-o-lantern, but wasn’t too successful! Dad did a good job on the pumpkin. Here is his cute lantern we got at Disneyland. It projects an image of mickey on the floor. 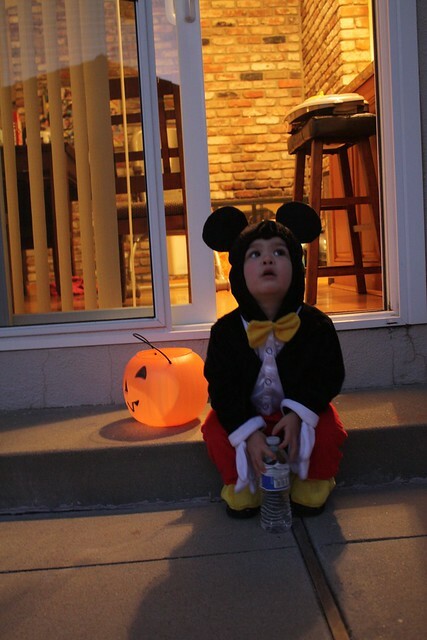 Vinny did sit down on stoop for a few seconds so i got this cute shot. This one is too dark! But i wanted to get the lighting of the pumpkin! 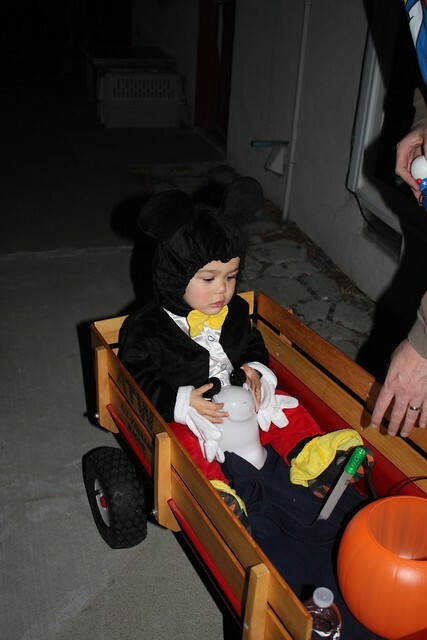 We used his wagon in case he would get tired of walking. It was a good idea. 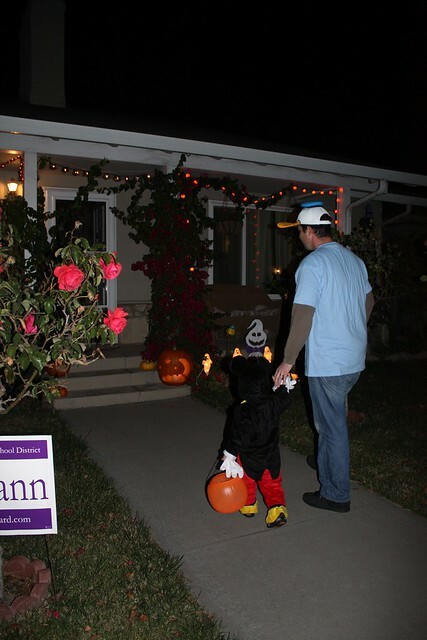 The first house we stopped at for trick-or-treating. 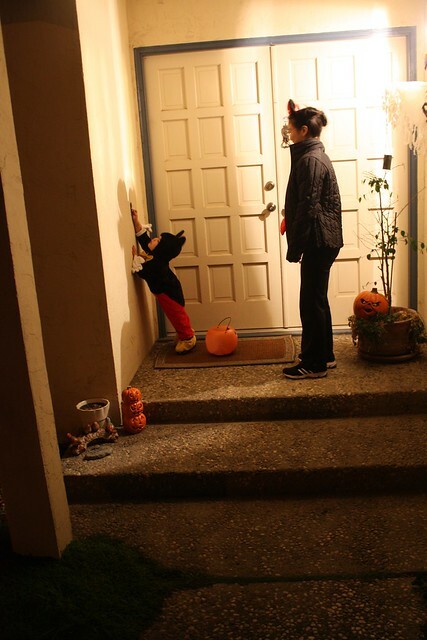 We practiced earlier, so he kind of knew to ring the doorbell and say trick-or-treat. He kind of says “tri-treee” but only sometimes. He does say Thank You though! 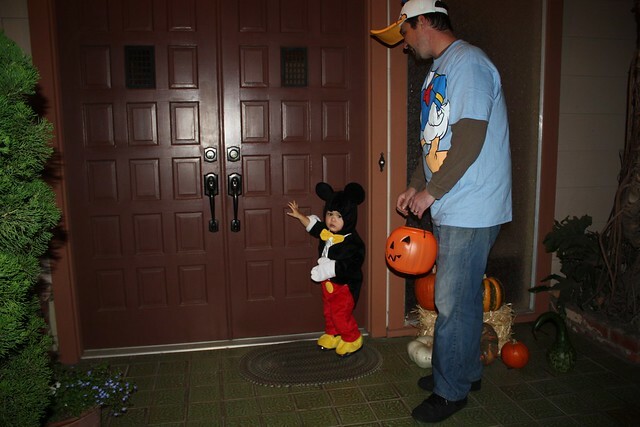 He loved going to the doorbells – even if he could only reach a few of them. 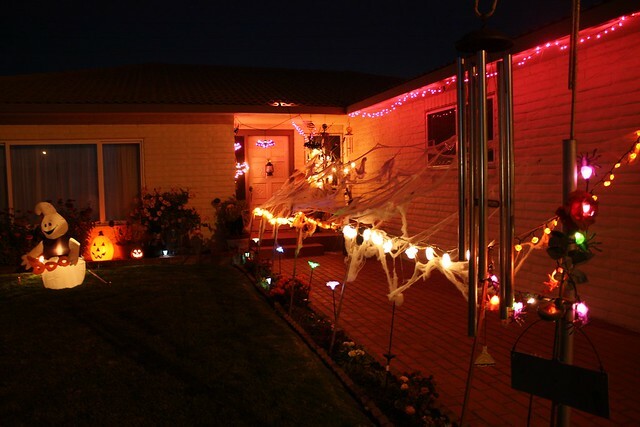 Some of the houses were dressed up pretty cool! 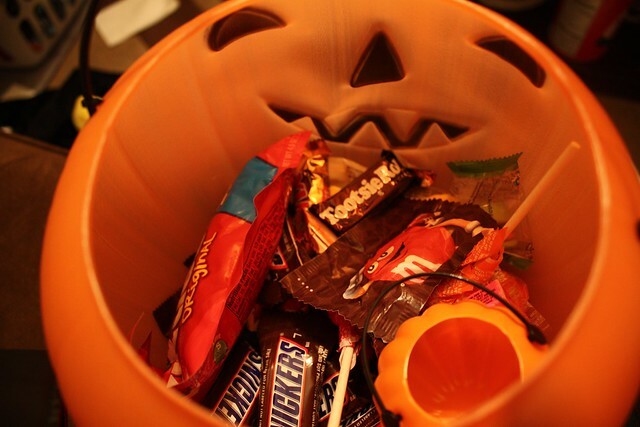 This house had a choice between a candy or a glow stick, but Vinny picked candy! I think if the glow stick was actually activated, he would have picked that instead. Here is his final stash! He lasted for about 3 blocks which is pretty good. We could tell he was getting tired though, so we made one last stop at my neighbor friend Sandy’s and then headed home.